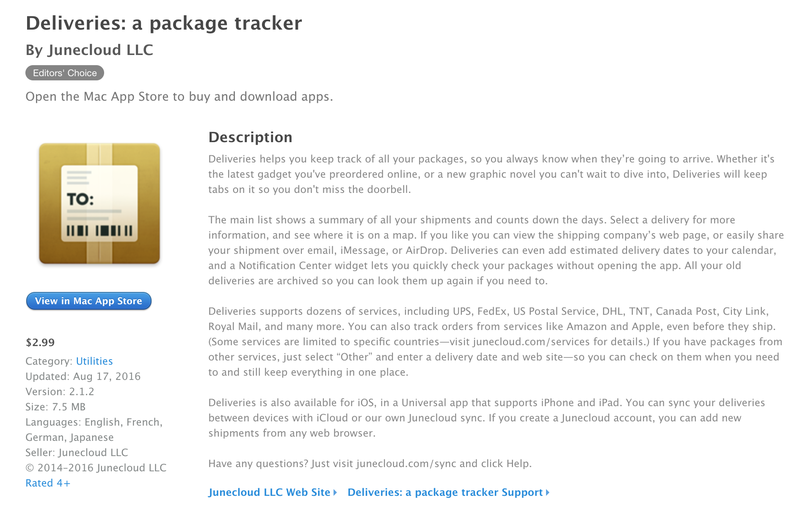 The Deliveries package tracker for Mac and iOS is one of the most popular of its kind and rarely goes on sale. The Mac version is currently matching its all-time low at $3 and the iOS version is within $1 of the best we have seen, which was a brief sale back in January. They combine for a 4+ star rating from thousands.